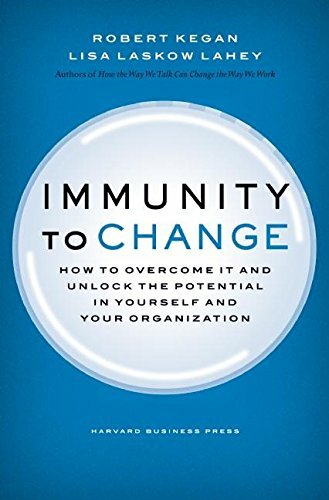 Lisa Lahey and Robert Kegan are the academic researchers who identified the dynamics of Immunity to Change, which helps explain how some changes seem to be more difficult than others to achieve. I.E. we say we want to achieve or do X and yet we do not make progress and do not achieve or do X, and instead continue to do Y. All this despite our clearly stated intention and sense of overt commitment. They noticed that the reason for these 'stucknesses' was because, in those situations, we have Hidden Competing Commitments that keep us from making progress. And those Hidden Competing Commitments come out of Big Assumptions that we are not so willing to challenge. Getting Started To Do Checklist . Agents of Change Facebook page . so as to create improved inner (and outer) conditions for our original intention or goal to flourish. We will start to do some of this work for ourselves on Monday Dec 4 and we will take our time with it through the 2017 end of year holiday season, and thereafter, starting in January 2018 draw on each other for support and challenge in accountability trios. So no need to figure it all out here and now. We have plenty of time and resources and support to do the work. A. Immunity to Change Map pdf document explaining how to build a map. Will be reviewed in detail during our videocall. B. Immunity to Change template for your use. Print out multiple copies and use it to create your very own Immunity to Change 'working map'. PLEASE REMEMBER THAT THESE VIDEOS ARE PASSWORD PROTECTED. SAME PASSWORD AS YOU USED TO ACCESS THESE MEMBERS ONLY PAGES. Dec 4 2017 9am US Pacific Videocall - this videocall focused on Technical vs Adaptive change and the Immunity to Change Map. Note: we used the following Entry CheckIn/Reflection to begin to Identify a strong Change Commitment. Step 1. If you were able to change one habit or behavior, what would it be? Step 2. How would changing it have a significant positive impact on the Intention/s (i.e. big Intention/s you have been journaling about in your Intention to Self Letter work) you are holding for 2018? Step 3. If you can't see how the change you identified in Q1 would have a significant positive impact on your Intention, please go back to Q1 and consider a different, more specific, more aligned habit or behavior change. OK. Now you may be getting closer to identifying what needs to go in Column 1 of the Immunity to Change Map. Keep working it following the instructions provided in the full handout. You will be using these maps to design action experiments starting in January.